HomeBlogHow Expensive is Dubai, Really? How Expensive is Dubai, Really? Dubai is often described as a playground for millionaires, but how expensive is Dubai? We’re talking about a city known for its Ferrari rentals and which recently had to outlaw wild and exotic animals as pets. But there’s a real problem with this inflated imagery. When you start to think of Dubai as a destination for the fabulously rich, it sounds like it isn’t a great getaway for the rest of the world. Nothing could be further from the truth. You can enjoy an affordable holiday in Dubai even if you’re not swimming in money. Dubai is much cheaper than you might think (as long as you’re not trying to buy your own artificial island). So how expensive is Dubai really? Let’s take a more in-depth look at how much things actually cost. You may think you’ll have to empty out your savings account to vacation in Dubai. As it turns out, you have a better chance of going broke visiting Big Ben. Many popular urban tourist destinations are far more expensive than the desert oasis. Take London and Sydney, for example. If you’ve ever gone out to dinner in either city (casual or fine dining), chances are that you paid more for your meal than you would have in Dubai. The same is true for shopping and many other consumer expenses. Safaris are a great example of this. 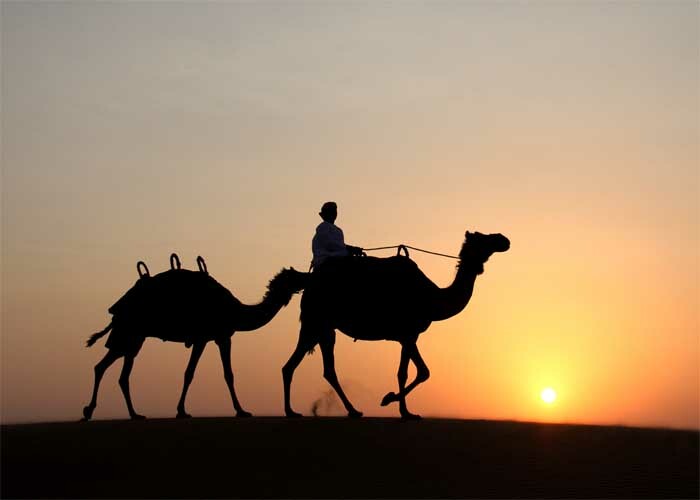 While an authentic safari in Sydney and an authentic safari in Dubai will cost you about the same amount of money, you get so much more with the safari with Platinum Heritage in Dubai, including a gourmet meal, camel rides, falcon shows, and riding in authentic, restored Land Rovers from the 1950’s. As a final note: if you’ve ever traveled to New York, you paid more for pretty much everything in the city than you would have in Dubai. One of the biggest perks of a Middle Eastern vacation is the bottom-of-the-barrel oil prices. Dubai isn’t the cheapest place in the world to take a taxi, but if you come from New York, London, or Sydney, you’ll be pleasantly surprised at the fares in this emirate. A 17-mile (26 kilometers) trip between the Dubai Mall and the Hotel Atlantis will cost about AED 60 or (US $16.50). That comes out to under one dollar per mile. For perspective, New York City’s taxis cost over $2.00 per mile, and that’s if you don’t hit traffic (which you will). Dubai’s metro is also very affordable, with tickets ranging from the AED 3 standard pre-paid tickets (less than a dollar) to AED 15 “gold class” tickets (around US $4). 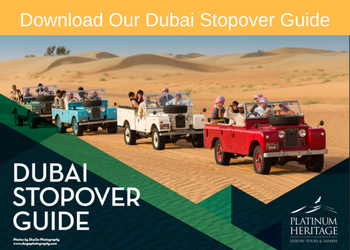 In short, you don’t need a bulging wallet to get around and see the sights in Dubai. You may have heard that Dubai is tax-free. The answer is more complicated than a simple “Yes” or “No”. But if you’re coming as a tourist, Dubai is tax-free for you. This tourist-friendly policy frees up a lot of spending money that could be spent on more excursions or an upgraded hotel room. As for tipping, it’s optional but encouraged. Service charge is including in most things, like meals, but many people still tip around 10 percent. However, the choice is yours. Concerned about the exchange rate? Don’t be. Dubai’s currency, the dirham, is based on the US dollar. This stability allows it remain fairly inelastic, and the worth of the money is unlikely to change dramatically from year to year. If you’re curious, 1 US dollar is about 3.67 dirhams. If money is a concern, you might want to consider visiting Dubai in the summertime. While it is significantly warmer, it’s also a much better value. Hotels and experiences are often discounted, so it’s a perfect time to explore a less-expensive Dubai. 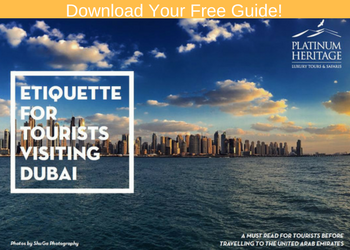 And Dubai hospitality knows how to help you battle the heat, featuring everything from chilled swimming pools to indoor ski parks. Many even escape to the desert, where the summertime evenings are cool and the air is clean. As you can see, Dubai is not actually as expensive as the media makes it seem. Getting around is affordable, there are great summertime deals, and—if you’re a tourist—everything is pretty much tax free. If we’ve sparked your curiosity and you want to learn more, we’d love to help. Visiting Dubai? Find out all the information you need for your journey here.